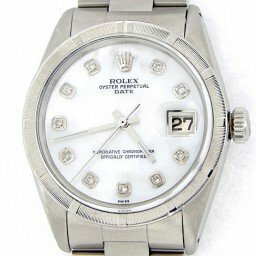 Our inventory offers Rolex Date mens stainless steel watches. 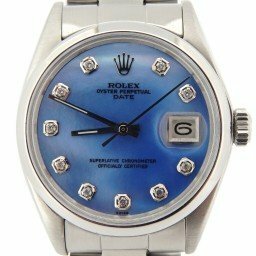 We feature colorful watch faces and a variety of bezels and bracelets. 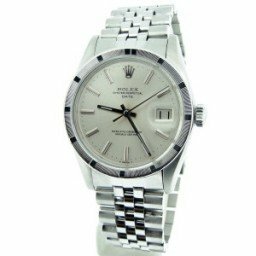 With our large collection, you may just find the perfect mens stainless steel Rolex Date watch that you’ve always dreamed of owning. 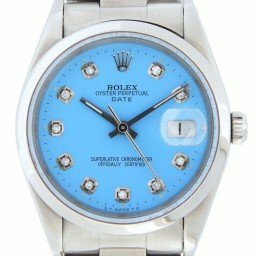 Whether you’re in the market for a mens stainless steel Rolex Date, or a Rolex Date mens two tone watch, you will always be in style wearing one. Keep in mind, our qualified customers enjoy our Lifetime TradeUp Guarantee for further value. We also offer a 30-day money-back guarantee, free U.S. shipping, and available financing. In addition, we offer personalized customer service. So, don’t hesitate to contact us so we can help you find that perfect style. 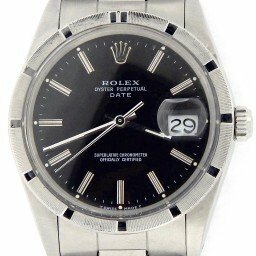 A great option for a younger watch enthusiast looking for his first real watch or a man who prefers smaller Rolex watches, the mens stainless steel Rolex Date key traits has plenty to offer despite its low profile. 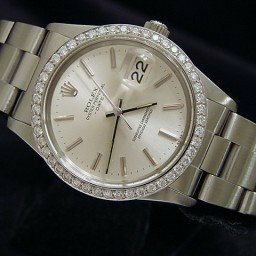 Often confused with the Datejust, the Date watch is, in fact, a different collection of Rolex watches altogether. Let’s find out more. 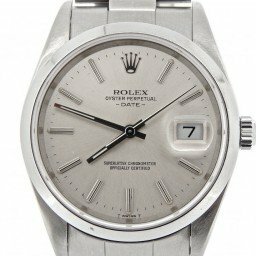 What are the Key Traits of the Men’s Stainless Steel Date Watch? 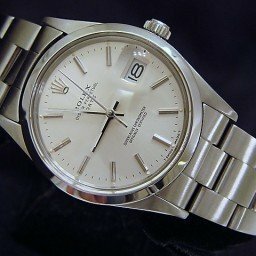 To differentiate the stainless steel Date watch from similar Rolex dress watches—let’s say the Datejust or the Oysterdate Precision—the Rolex men’s stainless steel Date must have the following traits. 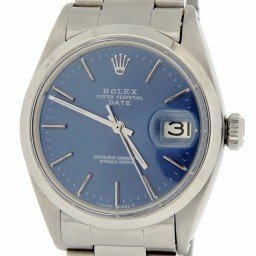 First, it must have a 34mm steel Oyster case and a matching steel bracelet in either the Oyster style or the Jubilee style (of course, there are after-market leather straps too). 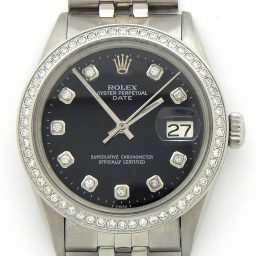 Next, It must have a date window at 3 o’clock magnified by a Cyclops lens affixed to the crystal. Furthermore, it must run on a perpetual, that is automatic, mechanical movement. 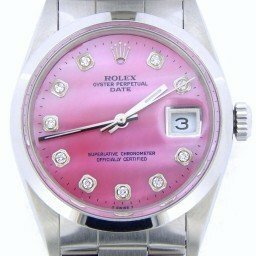 And finally (and most obviously) it must say DATE on the dial under OYSTER PERPETUAL, in addition to “SUPERLATIVE CHRONOMETER OFFICIALLY CERTIFIED” on the bottom portion of the dial signaling that the watch is COSC-certified.  If you can check off all these design details, then you are looking at a men’s stainless steel Date watch. 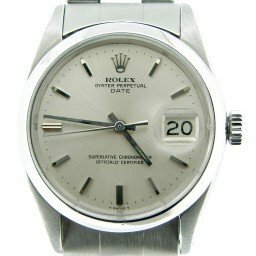 Since Rolex has been producing the Date watch as far back as the 1950s, there are plenty of models to choose from, each differing slightly depending on the production year. 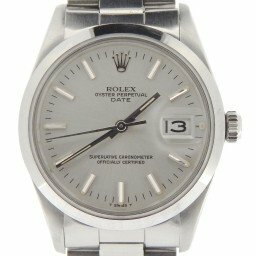 What are my Men’s Stainless Steel Date Model Options? 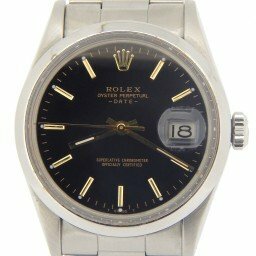 Let’s start with the ones that Rolex produced from the 1960s until the early 1980s. 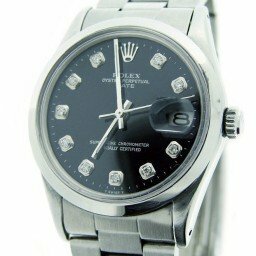 These stainless steel Date models include acrylic crystals and non-quickset movements. 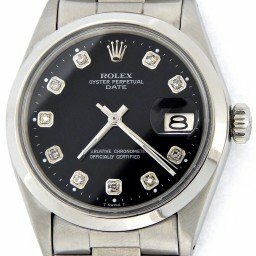 As you probably already know, this means that the wearer has to set the date by turning the center minute and hour hands. 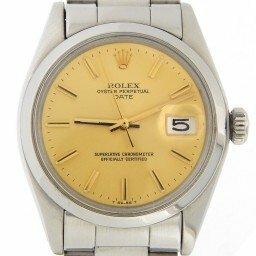 The options from this era are the men’s stainless steel Date ref. 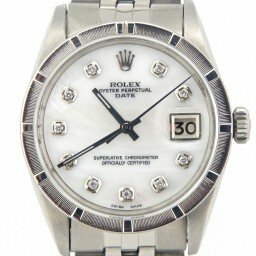 1500 with the smooth bezel and its sibling, the ref. 1501 with an engine-turned bezel. 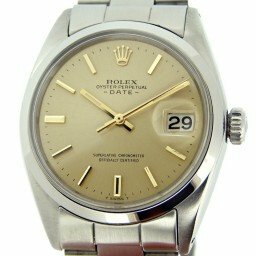 Following that, Rolex introduced updated stainless steel Date watches in 1983 with the then-new Caliber 3035 automatic movement. 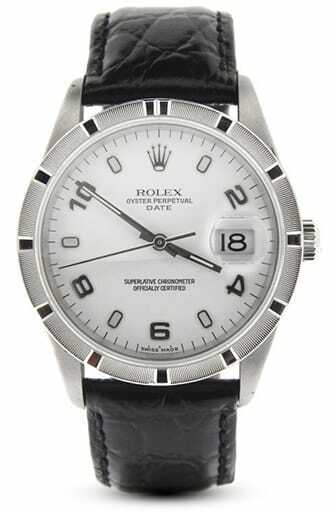 Therefore, the watch now boasts the quickset function so that the date is set independently from the center hands. 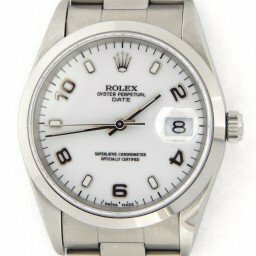 These particular models, which include the men’s stainless steel Date ref. 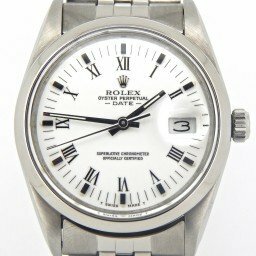 15000 with a smooth bezel and the ref. 15010 with an engine-turned bezel, still have the acrylic crystal protecting the dial. 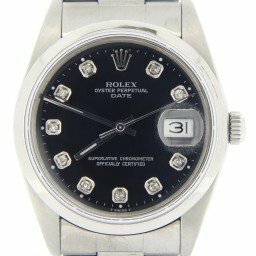 In the late 1980s, the stainless steel Date watch got some major updates to not only include a scratch-resistant sapphire crystal, but also the famous Caliber 3135 movement with improved accuracy and robustness. 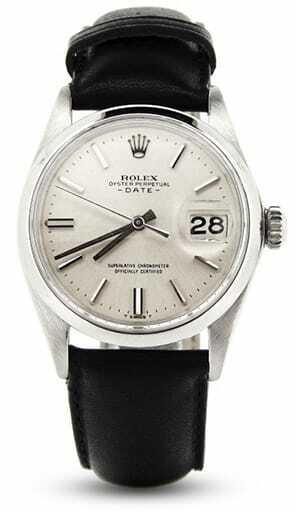 From this period, there’s the men’s stainless steel Date ref. 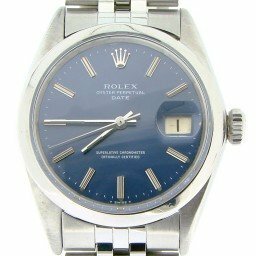 15200 with a domed bezel and its counterpart, the ref. 15210 with an engine turned bezel. 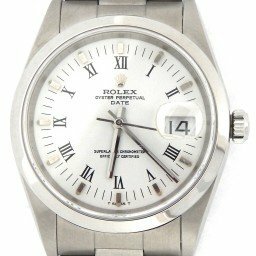 Lastly, in the 2000s, Rolex unveiled the most current versions of the stainless steel Date watches, equipped with slightly heftier cases (still the same 34mm on paper though), wider lugs, and polished center links on heavier bracelets with enhanced clasps. 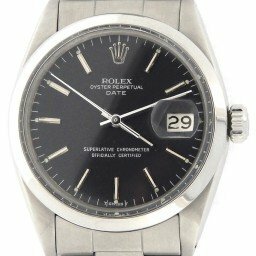 From Rolex’s current catalog, you can choose between the stainless steel Date ref. 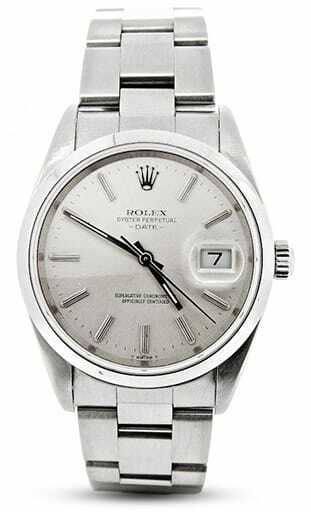 115200 with a smooth domed bezel and rather than the engine-turned bezel, there’s the white gold fluted bezel on the men’s stainless steel Date ref. 115234. 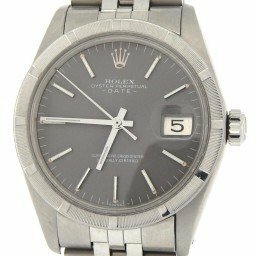 How Much are the Men’s Stainless Steel Date Rolex Watches? 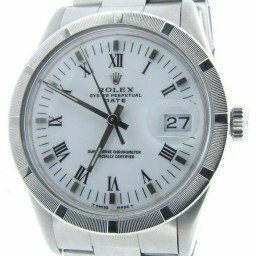 The men’s stainless steel Date watch is an entry-level Rolex watch so it offers attractive prices, particularly in the secondary market. 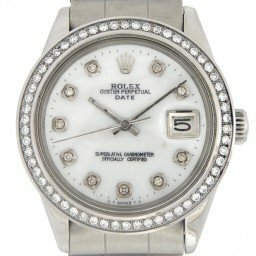 Depending on when the watch was manufactured and its current condition, prices can start as low as $2,300 for older vintage steel Date watches and can reach just above $7,000 for newer steel models embellished with after-market diamonds. 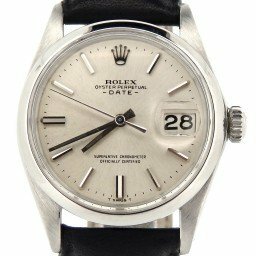 While the Rolex Date was often overlooked during its six-decade history with many reaching for larger or flashier models instead, now that the trend for smaller men’s watches is on the rise, this restrained Rolex dress watch may soon have its time in the spotlight!